It is hard on children and single parents when a mother or father is not in the picture. In these situations, step parents can help fill the gap. In the past, these caring individuals often got a bad rap, being portrayed as dominating or divisive in movies and on television shows. Today, stepparents are unsung heroes, providing much needed emotional and financial support. As cherished members of your family, you may want to consider making it official by initiating a step parent adoption. Our Florida family law attorney can guide you through the legal process. The following highlights important information you need to be aware of concerning these proceedings, along with some of the many benefits. In the case of a minor child with a biological father or mother in the picture, that person will need to consent to relinquishing parental rights. In the case of a minor child with a biological father or mother who is not in the picture and whose whereabouts are unknown, the court has the option to terminate parental rights, without that person being present or made aware of the situation. 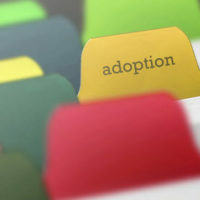 In the case of an adult child, a step parent adoption may be initiated without the biological parents’ consent, provided the parties in the adoption are in agreement. Locating an absent father or mother and convincing them to surrender parenting rights is no doubt one of the most challenging parts of these proceedings. In other ways, stepparent adoptions tend to follow the general guidelines as listed under the Florida statutes for regular adoptions. This includes conducting background checks, home visits, and detailing the child’s individually owned personal property and assets. The judge does have the right to waive these procedures, which they are likely to do in step parent adoptions where the person being adopted is an adult. The right to claim government benefits, such as Social Security and military benefits. Our legal team can guide you through the process of step parent adoptions efficiently and effectively, ensuring all the proper procedures are followed. Call or contact Fort Lauderdale attorney Vanessa L. Prieto online today and request a consultation to discuss your situation and how we can help you.